Who is Queens Avenue Daycare? We are a fixture of the New Westminster community. Established in 1973, a group of families founded our not-for-profit daycare to meet the needs of families living or working in New Westminster. Since then, we've expanded to meet the needs of anyone who is in search of quality, safe and secure childcare. The daycare is run by the Queens Avenue Daycare Centre Society. It is made up of member families, there are no shareholders or private owners. When you enroll your child at Queens Avenue Daycare, your family becomes a member of a community. To ensure a high quality of service, your participation is integral to the operation of the centre. We encourage you to get involved at the Board level or to help with the day-to-day programs. Our team is made up of experienced and qualified Early Childhood Educators with some staff members having the additional qualifications of Infant/Toddler and Special Needs certification. All staff members have their current First Aid training. We have some dedicated staff who have been with Queens Avenue for over 20 years! Our staff are responsible for the well-being of the children, the children's program, the organization of the playrooms, routines of the centre and daily housekeeping duties. Are you looking to join our amazing team? Click below to view our current job postings. We are open Monday-Friday, 7am-6pm. 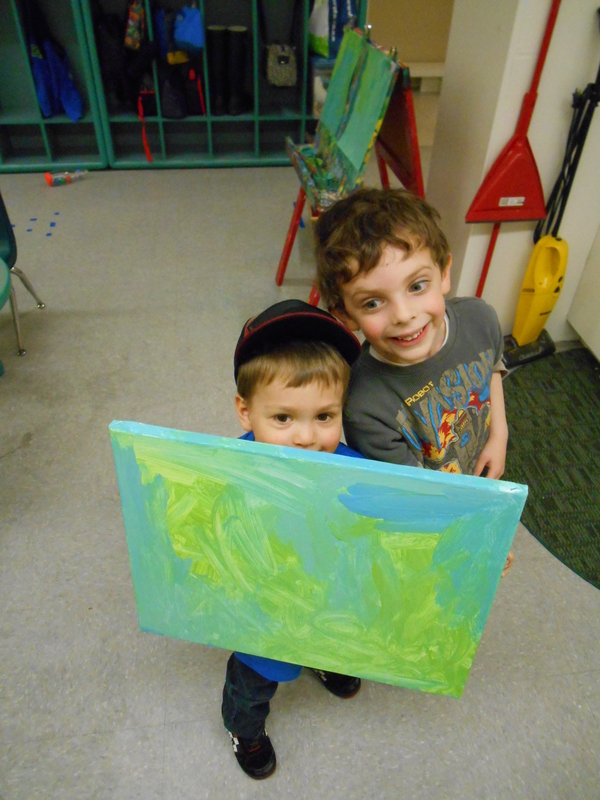 We have two programs; a multi-age program (starts at 18 months) and a 3-5 year old program. The maximum capacity for the multi-age room is 8 children, and 25 for the 3-5 program, however, these children are usually split between two playrooms. Below are sample schedules, the day may vary a bit based on children's interests. The multi-age group (3 children eighteen months-three years old & 5 children over three years of age) spend their time learning through play and manipulating the environment which is set up daily to include activities and opportunities to practice helping skills for self and and others, to build a community of compassion, negotiating and sharing with peers. 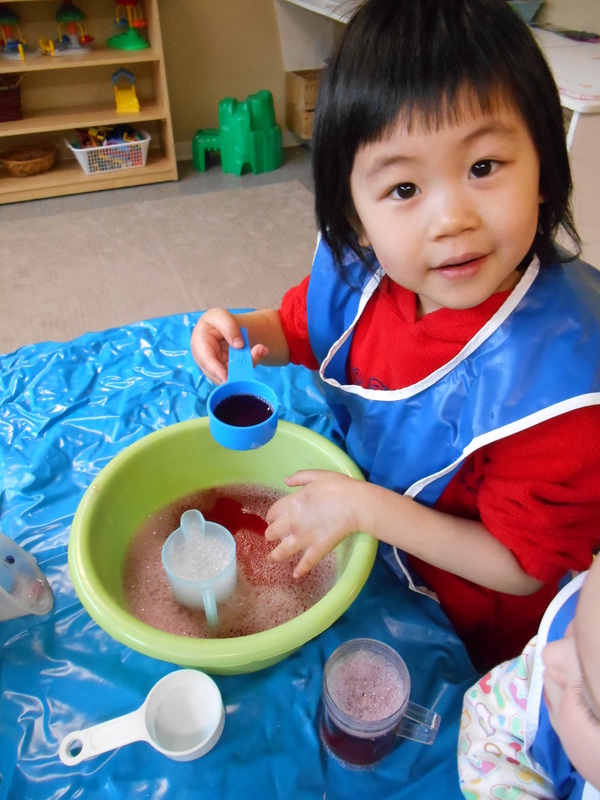 Children explore social relationships by building and nurturing friendship, expanding curiosity and encouraging wonder via a play based open ended program. 7:00 am- Children engage with a variety of materials on tables and shelves that are based on children's interests. A table is open until 8:30 am for children bringing breakfast from home. 8:45 am- Snack table opens; snack is served to whoever wants to join. Snack & water provided. 9:15 am- Snack table closes. 9:30 am- Circle Time. Children split up into two rooms. All children must arrive by this time.Circle time may include: various songs, stories, puppets, dance, exercise, group discussions and reflections. Fridays, children are welcome to bring a toy, book, photograph, etc to share for Show and Tell. 10:00 am- Outside. Children engage in physical activity in the yard/go on walks in the community. 11:30 am- Music time. Children listen to, sing along and dance to music. We have music from many cultures, interactive songs, educational songs and some classic children's songs. 12:00 pm- Lunchtime. Children bring lunch from home, the centre offers milk or water to drink. There is a teacher at each table with the children during the meal. 12:45 pm- Nap time. Children rest and/or sleep on an individual cot, with bedding from home. We send bedding home each Friday to be washed and ask it be returned on Mondays. 1:30 pm- Awake children are asked to go to one of the rooms; tables and experiences are set up. 2:30 pm- Nap lights go on and children still sleeping are slowly woken up and divided into rooms. 3:00 pm- Snack table opens for children want to participate. We provide the snack and water to drink. 3:30 pm- Snack table closes. Children help tidy up in preparation for circle time. 4:00 pm- Children go outside in small groups, or to the gym, if the weather dictates it. 5:15 pm- All remaining children are counted and brought downstairs for a group activity or game. 6:00 pm- Centre closes. All children should be off site and closing staff member locks up for the day. We do our best to keep fees as low as we can for families. We believe strongly in affordable, accessible, safe, quality child care for all children. We encourage all families to apply for the Affordable Child Care Benefit. Part Time: 3-5 Program (2 days/wk, T/Th)- $350.00, with child care fee initiative $310.00 per month. *Please note that part time care is only for children aged 3-5. We only offer full time care for children under 3.